Win a 10-portion George Foreman grill & griddle! Looking for an easy — and healthy — way to get that breakfast fry on the table? 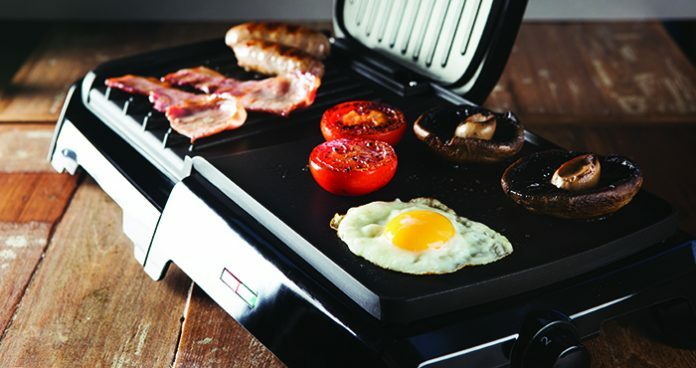 The George Foreman 10 Portion Grill & Griddle allows you to grill and griddle simultaneously and with a four-portion grill and a six-portion griddle in one, it allows you to cook multiple portions at one time. With a perfectly angled grilling surface and a separate perfect-fit drip tray, grease is channelled away from your food creating a healthier meal and making the washing up less of a challenge. Next articleWin the best Christmas hampers on market!